BKS Builders - Builder based in Bedford, Bedfordshire. 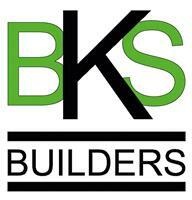 Hello and welcome to BKS Builders, the only builders you will ever need! We have spent years establishing a reputable construction company built on the foundations of outstanding customer feedback and second to none customer service and attention to detail. We treat every customers project with the care and professionalism it deserves, not leaving until you are 100% satisfied. Our team of experienced tradesman cover all aspects of construction from changing a light switch to constructing a complete property! All 'of course' at an exceptional price as we believe that quality should never be compromised for affordability. We are happy to use our experience in offering advice and solutions to all customer queries, helping to utilising your creativity and personal tastes to achieve your bespoke designs. So why not call us today to begin making your design dreams a reality! Remember if you want the best, use BKS!